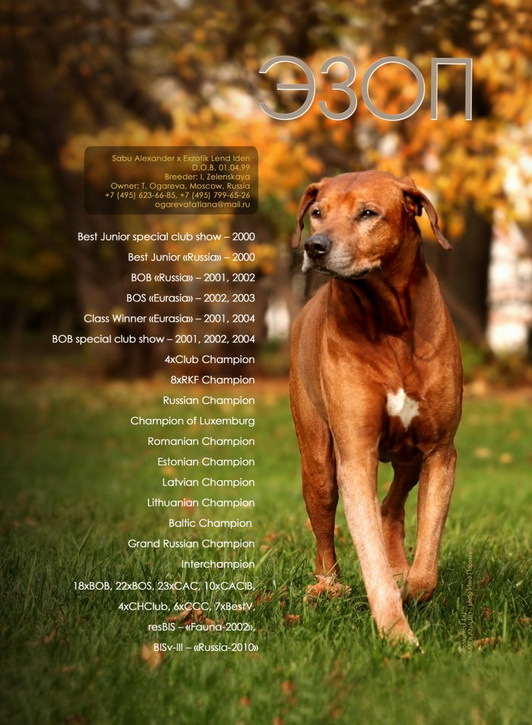 Allan Break is the Champion of Latvia, Lithuania, Estonia, Russia, Belorussia, Ukrain and Baltic, Grand Champion of Ukrain, Junior Champion of Latvia, Lithuania, Estonia and Baltic. 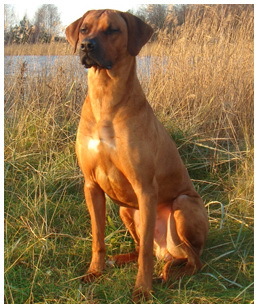 Allan (Barik) was born in the well-known Russian Kennel “ Podarok iz Afriki”. 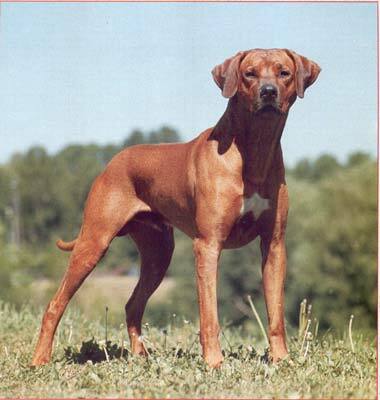 His parents are Glenaholm Molao (26хClassWinner, 2xBESTp, 4xCACjunior, 4xBESTj, 13xCAC, 3хCACIB, 4хR.CACIB, 5xBOS, 3хBOB, BIG, 2xBIG-II, 3xCC), imported from South Africa and Ezop – one of the best Rhodesian Ridgebacks from Russia!